Your industrial equipment requires the most dedicated care during the moving process, so be sure to rely on New Jersey industrial movers with a proven history of expertise. SeaCure Moving, Inc. has been in business since 1981 and has successfully moved labs and industrial warehouses of all sizes during that time. 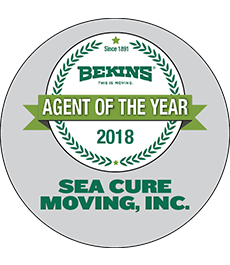 For our dedication to personalized, detail-oriented service and customer satisfaction, SeaCure has become a BBB-accredited business and a ProMover with the American Moving & Storage Association (AMSA). Before we move a single item, your personal Move Coordinator will sit down with you and help you create a custom plan that meets your business’s exact schedule and budget. Your Coordinator will work with you before, during and after moving day to make sure that every last detail is accounted for. Since our New Jersey industrial moving company is an agent of Bekins Van Lines, we have the capability to move heavy machinery and sensitive lab equipment alike all over the world. Our state-of-the-art moving equipment consists of air-ride trucks, conveyors, forklifts, sky cranes and more. We’ll get your industrial equipment to your destination swiftly and in top condition – guaranteed! Don’t delay any longer, and contact the New Jersey industrial movers at SeaCure today with all of your questions. A moving specialist is standing by to speak with you, or you can fill out our Quick Quote Form to receive a no-obligation estimate now!